This tutorial will show you different ways to open Windows PowerShell in Windows 10. 1. Open All apps in the Start menu. 1. Press the Win+S keys to open Search. 1. Press the Win+R keys to open Run. 1. Open Task Manager (Ctrl+Shift+Esc). 1. If you have the Win+X menu set to show Windows PowerShell instead of Command Prompt, then press the Win+X keys to open the Win+X menu. 1. While you have a folder or drive open in File Explorer, type PowerShell into the address bar, and press Enter to open PowerShell in whatever folder or drive you have open. I have late shift next week, and will have to watch the recorded videos from the channel9 app later. 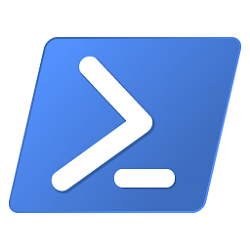 Is there a document you know of that explains the difference between the various versions of Powershell? This is the best PowerShell version comparison I've seen so far below. 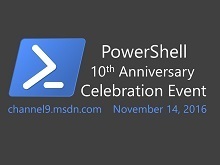 This below will give more details about the latest PowerShell 5.0. MSDN has also pimped up the site. In my windows 10 1607... option 6 is greyed out. I have been researching but have been unable to resolve it. Anyone have any ideas? Thanks in advance. What build of Windows 10 do you have installed? I'll see if I have the same issue in that build. It works in build 14986 though.